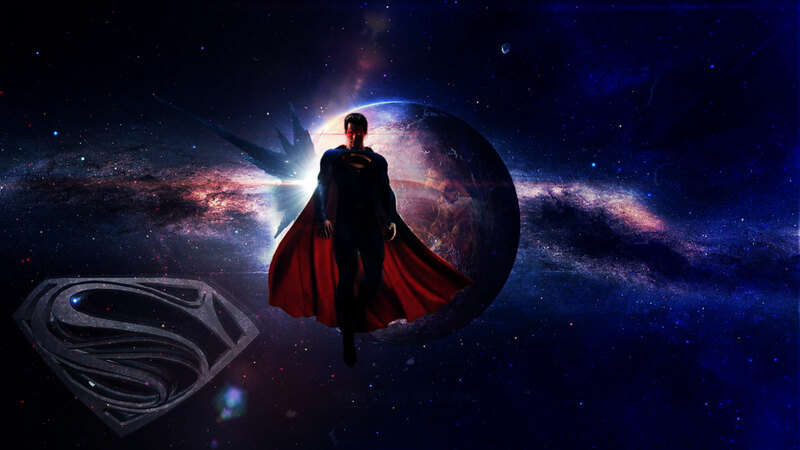 Man of Steel has to be one of the most anticipated movies of 2013. Now before I start this review I must confess that I am not a comic book reader. My Fangirl obsession with Superman comes from movies and TV shows. I have never been able to fully accept anyone in the role of Superman except Christopher Reeve...until now!!!!! From Director Zach Snyder (Watchmen, 300) Man of Steel stars Henry Cavill as Superman....Amy Adams as Lois Lane....Michael Shannon as General Zod and Russell Crowe as Jor-El. The combination of Snyder, Christopher Nolan and David S. Goyer is a match made in heaven. This movie ticks all the boxes. The story line is sheer brilliance. They have taken the typical Clarke Kent to Superman story and put their own twist to it while throwing in some elements from previous movies and of course Smallville. We get more of the history of Krypton than we have seen in any other movie and see Clarke face his demons as he comes to terms with who he is. The first half of the movie is dedicated to the development of this new take on the story line. Even how Lois and Clarke first meet is a brilliant new take on the original plot. This is what I thought was one of the most intriguing factors of this movie...we were not just been fed back the same old story. Henry Cavill is fantastic as Superman. Not since Christopher Reeve himself has anyone captured the essence of this character like Cavill has. I must also mention that in this movie Superman is a more street wise character than Reeves was. Michael Shannon played a real stand out role. The character of General Zod has changed from what we know so Shannon's portrayal was his own and not a copy cat of Terence Stamp. Russel Crowe also played a solid role as Jor-El. I was not sure if I would like Amy Adams as Lois Lane but I was pleasantly surprised as she played the ballsy journalist well. I don't want to give any spoilers and ruin it for people so all I will say is....this is now my favourite of anything to come out of the Superman franchise. I cannot wait to see part 2. Oh and Avengers....Ironman....Batman....KNEEL BEFORE ZOD!!!!!!!!!!!!!! !